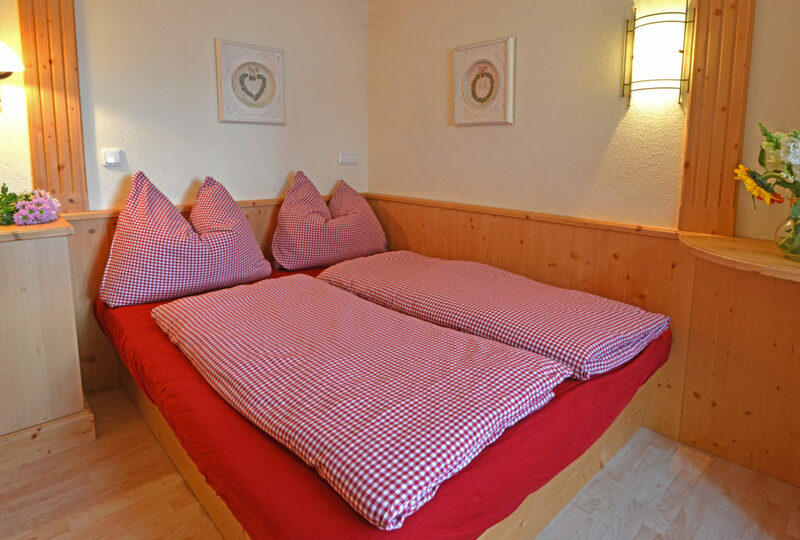 52m² of comfortable accommodation for 2-5 persons! 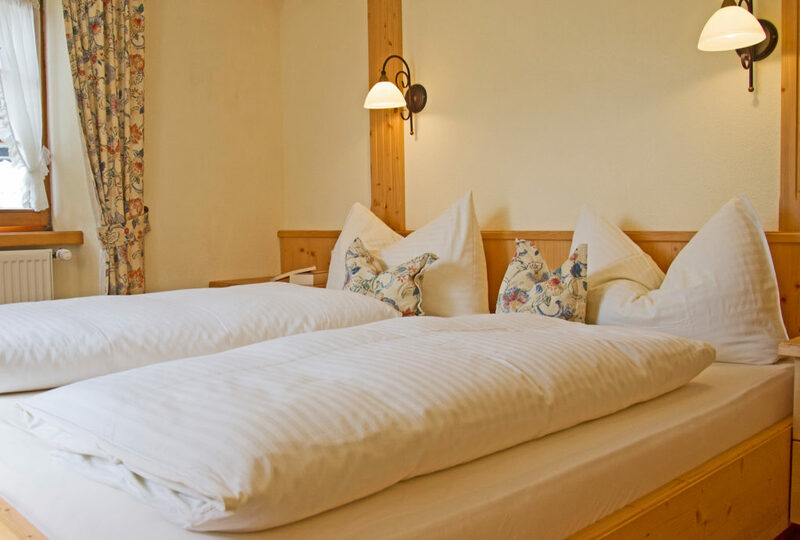 Our generously appointed “Bergblick” apartment with its unmistakeable Tyrolean style conveys the unique atmosphere and tradition of our historic house. 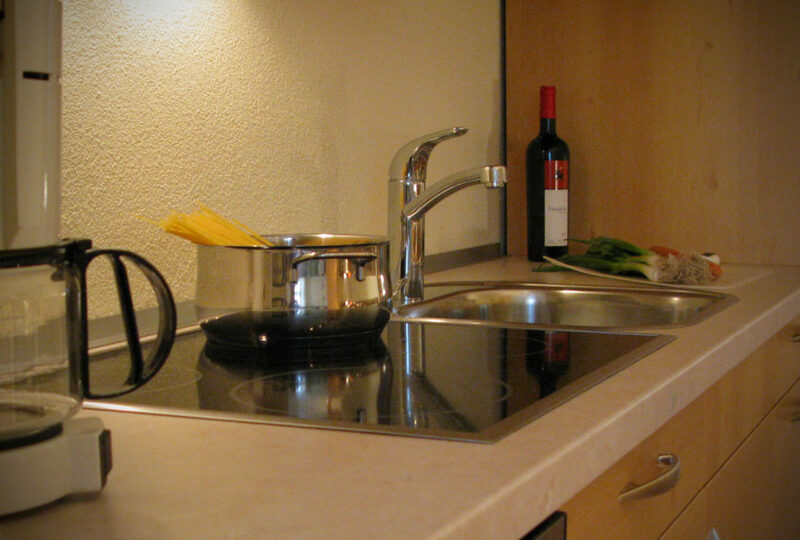 It offers 52 m2 of comfortable accommodation for 2-5 people. 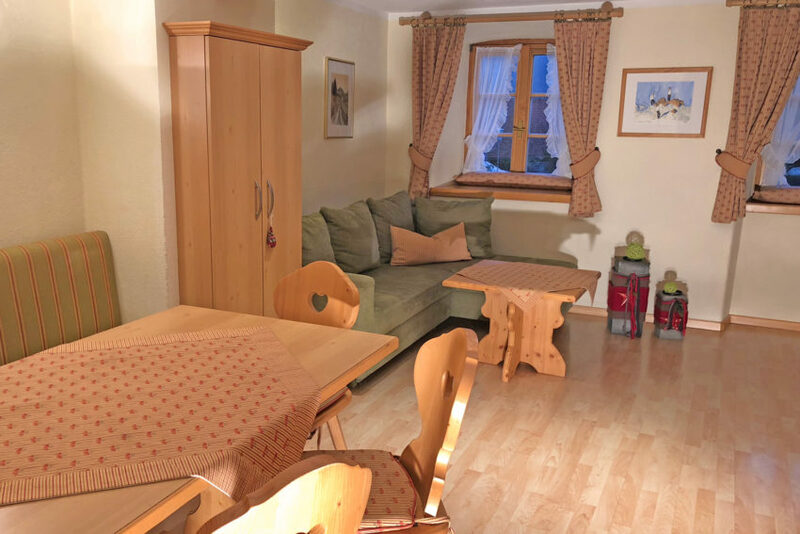 The spacious living room includes a modern, fully-equipped kitchen with ceramic stove top (4 plate), fridge, freezer, dishwasher, coffee machine, electric kettle, toaster and microwave. 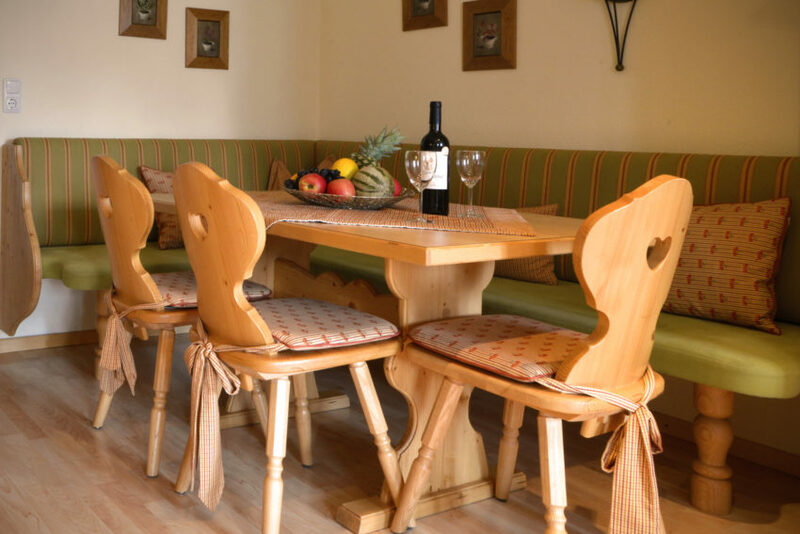 The Tyrolean style dining nook has a comfortable, cushioned bench and space for up to 6 people. To add to your wellbeing, there is a cosy sofa from which you can enjoy the impressive view of the mountains or relax and make use of the radio/CD-player and flatscreen TV. In addition to the romantic bedroom with double bed, there is a second bedroom which may be used as a full bedroom for two people or as a quiet room for relaxing in with a snuggle sofa, another flatscreen TV and wireless internet access. 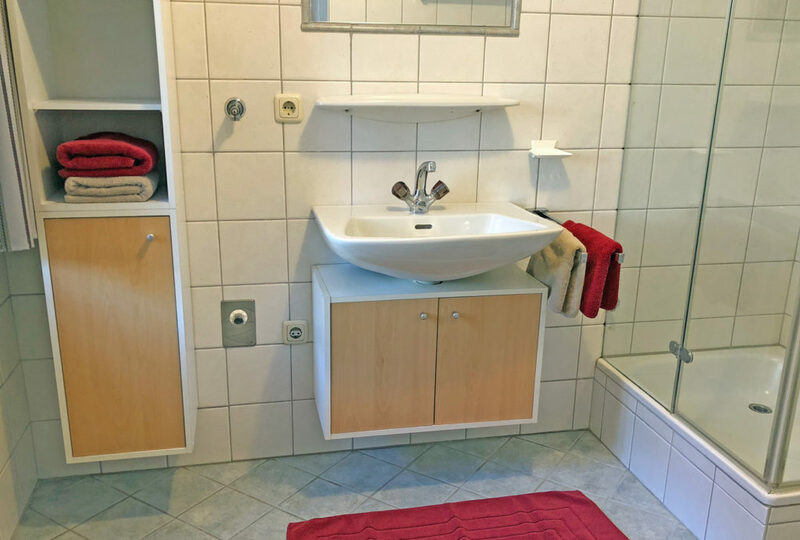 The spacious bathroom is equipped with a shower and toilet. 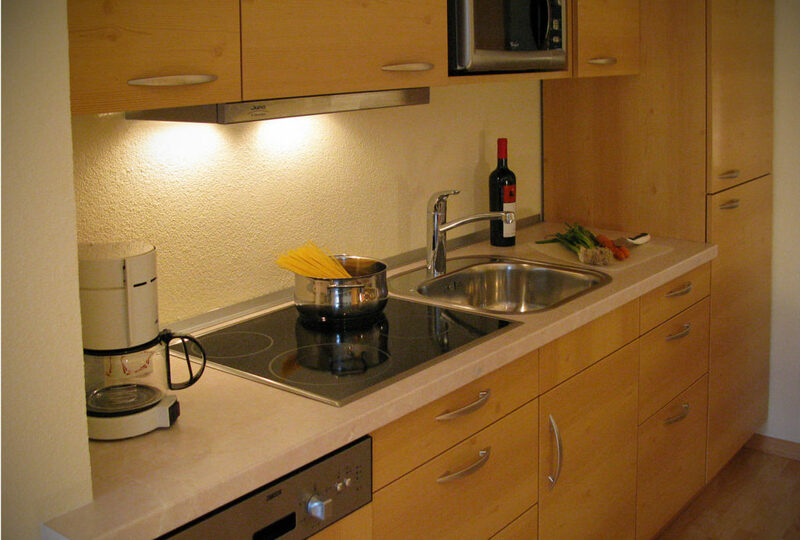 The heated entrance room offers space to store your sports and hiking equipment. In winter you can also keep your skis and snowboards here securely. Absolut empfehlenswert! 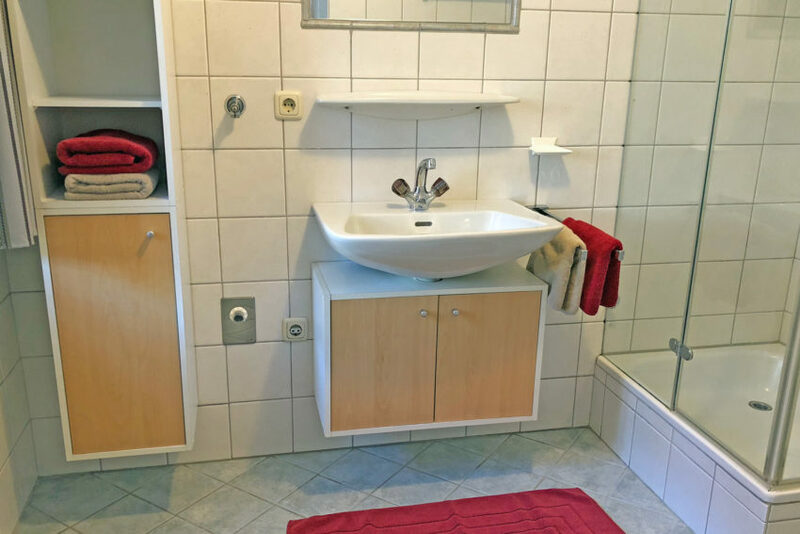 Haben uns von der ersten Minute wie Zuhause gefühlt! 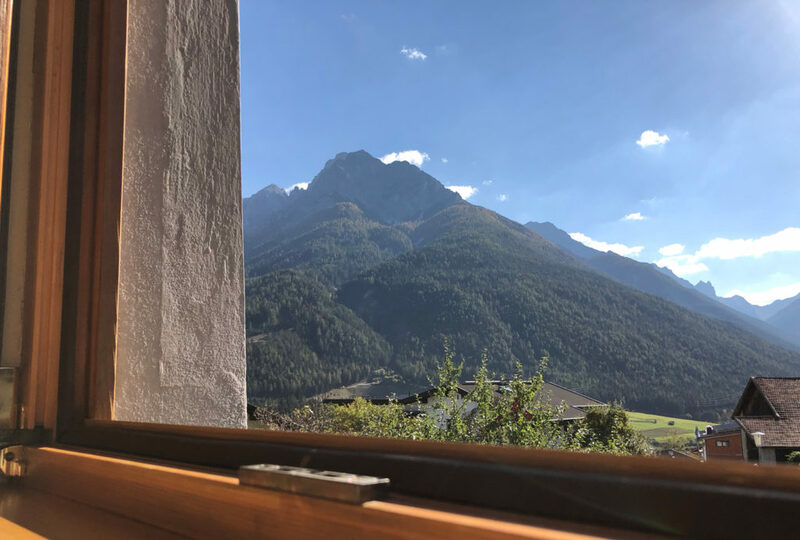 Wir wurden sehr herzlich aufgenommen, die Wohnung ist sehr liebevoll eingerichtet und es ist alles da was man für einen schönen Urlaub braucht. Sunny garden directly in front of the house! The sunny garden directly in front of the house is for the exclusive use of our guests. Why not take breakfast outdoors, surrounded by nature? Or barbecue at sunset? 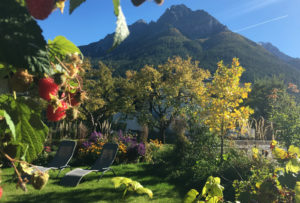 Enjoy the peace and quiet in the shade of the fruit trees and absorb the magnificent views! BEST PRICE on direct booking! 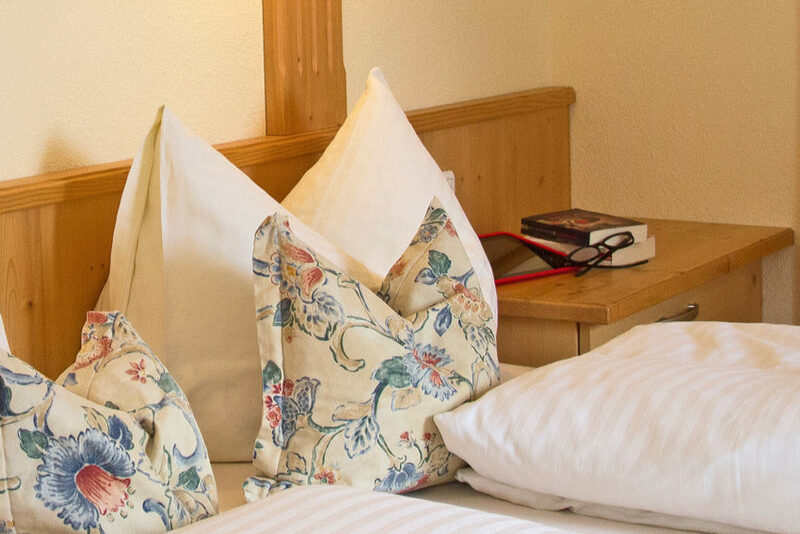 Book online directly through our website. Take advantage of this opportunity.